The controversial buddy movie has landed a huge surprise at the Producers Guild Awards. 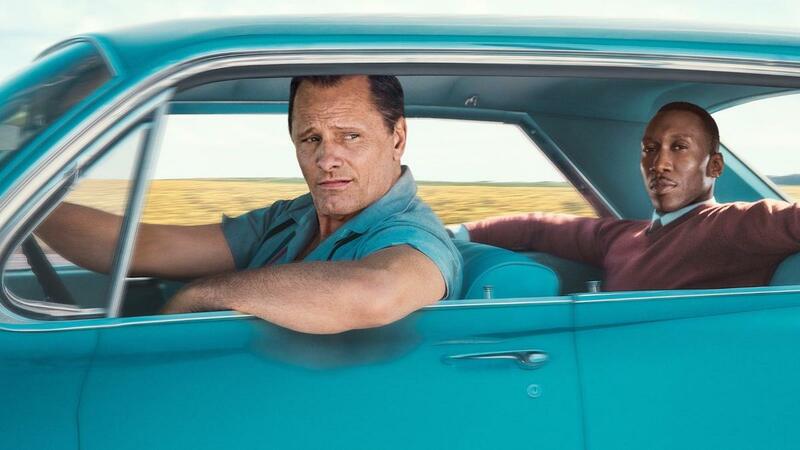 In what can be called a relatively large upset, Green Book has overcome several obstacles and won the 30th annual Producers Guild of America Award for the Best Produced Motion Picture of the Year. I personally had the film in fourth place for the award, behind Roma, A Star is Born, and The Favourite, and yet here comes the crowd-pleasing comedic buddy movie from the director of Dumb & Dumber and Kingpin. Wow, this really is a year to remember. Some of the other winners at the PGA were Spider-Man: Into the Spider-Verse for the best produced animated film of the year, and Won’t You be My Neighbor? took home the top prize for best produced documentary of the year. Both films are at the top of their respective categories as far as the Oscars are concerned. So the big question now is can Green Book repeat at the Oscars? Well, the film is going to have to overcome several more obstacles. Number one, the film has no nomination for the Screen Actors Guild Award for Best Ensemble, a category that every Best Picture winner has been at least nominated for, with two notable exceptions, since the Best Ensemble category was created nearly 25 years ago. Also, the film did not do very well at BAFTA, only landing in four categories, and missed out on Director. I also am not confident that Peter Farrelly will land that fifth slot in a competitive Best Director race at the Oscars, and as we all saw last year with Three Billboards outside Ebbing, Missouri, not landing that director nomination can be the end for your Best Picture hopes. I have him in, but it’s due to this win and a last minute change can be dangerous. As I’ve noted in several other articles, though, the film’s biggest obstacle to climb won’t be overcoming these mathematical odds, as we’ve seen Moonlight win Best Picture without a ton of support from BAFTA (4 nominations and 0 wins), and Argo won Best Picture 7 years ago with the famous Ben Affleck snub in case Farrelly is not included in the director race. No, the big issue will be if the film’s creators and publicists can overcome the seemingly never-ending controversies that keep slamming away at them. From Viggo’s awful press conference a month ago where he used the n-word, to the Don Shirley family condemning the film, to Viggo’s past history on film sets being deemed inappropriate, and finally with screenwriter Nick Vallelonga’s anti-Muslim tweet in 2015 resurfacing. Well, the vote for Green Book at PGA sure shows that if they like the film enough, controversies be damned, they’ll still pick it. When you look at the path that Green Book has to a Best Picture win, there’s not a ton of other gaffes other than those already noted. Farrelly landed a nomination at the Directors Guild Award over other artistically superior directors, namely Yorgos Lanthimos, for a routine road-trip dramedy. Even without the Ensemble nomination at SAG, Mahershala Ali is a sure-bet to win Best Supporting Actor everywhere else this year, and statistically most Best Picture winners have at least one win in an acting category, so that fits. Overall, Green Book has done well at the other various guild awards, including nominations at ACE Eddie, the Writers Guild, and it even got some love from the sound editors guild. So there is enough there for it to build on. I guess we’ll have to wait and see what the other top prizes decide along the way, and if more controversies hit the film in the next few weeks before Oscar voting begins. But for now, it seems like films like A Star is Born and The Favourite are in trouble.